Prolonged Social Media activity for Walker's Nonsuch Toffeesincreased online sales by 30% in 2018. 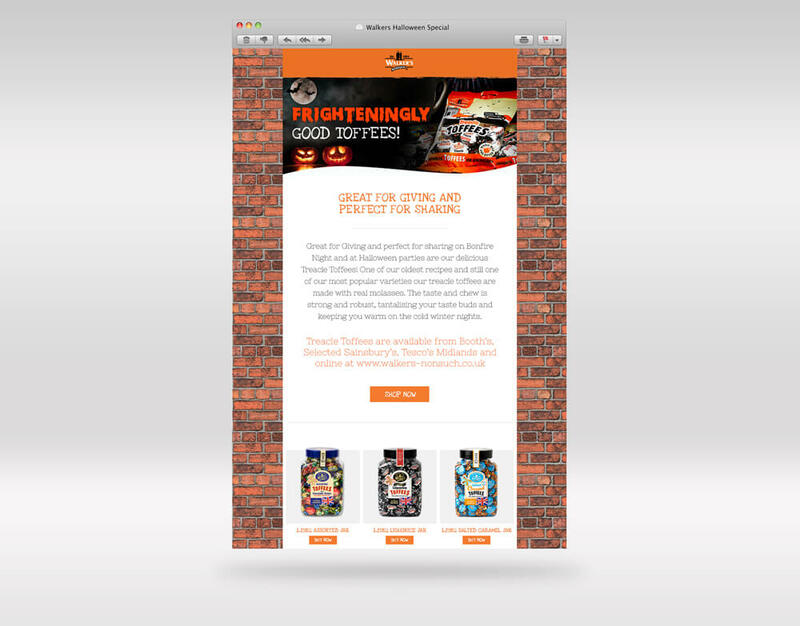 We provide on-going digital marketing & Social Media Campaigns to help improve engagement for the UK Toffee Brand. Their sales online went up by 30% in 2018. Continuous Digital Marketing alongside their websites keeps the brand close to its customers using the Social Media and E-mail Marketing channels for maximum coverage while maintaining a consistent design language. email us on info@freesidemedia.com, or call 01270 767 832 for more information. The final assets allowed maximum coverage and exposure for the campaign while keeping a consistent design language. A Single Project Campaign creating a range of promotional materials for the Charity. We do help out Charities when we can so email info@freesidemedia.com, call 01270 767 832 for more information.